The Hinesburg Record is published by the Hinesburg Record Inc., a 501(c)4 non-profit corporation. Most of the work of publishing the Record–writing, editing, photography, advertising sales, design, layout, and distribution–is done by volunteers. The Record was founded in 1987 by June Giroux and Frankie Birdsall, as a mimeographed newsletter. Still our managing editor, June remains a guiding presence. Although we’ve grown over the years, we’ve never changed our basic mission: chronicling Hinesburg news and events for Hinesburg residents. We could use some more enthusiastic volunteer writers, editors and photographers. 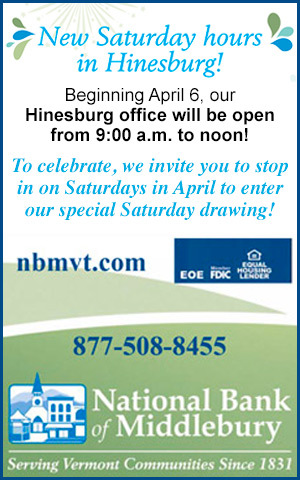 Like living in Hinesburg? Looking for some community involvement? Drop us a line.